IT recruiting is harder than ever. For example, did you know that only 30% of your potential candidates are looking for a job (Source: LinkedIn) and top candidates stay available on the market for only 10 days (Source: OfficeVibe)?! It comes as no surprise, therefore, that 90% of recruiting professionals say that the current job market is candidate-driven (Source: MRINetwork – Recruiter sentiment study). In order to succeed in this highly competitive, candidate-driven market, IT recruiters have to change the way they recruit. That is why there are new IT recruiting trends emerging. They are developed as a solution for new challenges recruiting professionals are facing. The most successful among these new trends aren’t just HR buzzwords anymore. They have been widely recognized and established as legitimate recruiting strategies that you simply must follow if you don’t want to stay behind. Here is the list of top 6 recruiting trends that you must implement if you want to be successful in finding and hiring high-quality job candidates. In 2018 recruiters are marketers. They have to if they want to be successful. It’s a candidate-driven market out there, and in this brave new world, candidates act like customers. They research potential employers, read online reviews and follow companies on social media to catch a glimpse of their company culture. That is why recruiters must become marketers. They have to adopt marketing strategies and use them in recruiting. This new trend of using marketing methods and tactics in recruiting is called Recruitment Marketing. Modern recruiters use different Recruitment Marketing strategies to “market” their company as a desirable employer.In order to attract potential candidates, recruiters build their company’s Employer Brand and communicate a compelling Employee Value Proposition.If you are a newbie in the Recruitment Marketing, Recruitment Marketing 101 guide will bring you up to speed. If you are already a Recruitment Marketing expert, check out some great Employer Branding ideas that Facebook and Hubspot use to attract talent. Candidate relationship management (CRM) is a method for managing and improving relationships with your candidates. Although this concept has been around for a while, in 2018 it has become much more demanding and complex. In the past, Candidate relationship management (CRM) was focused on the relationship with current candidates and improving their candidate experience in your ongoing hiring process. However, in 2018, when only 30% of your potential candidates are looking for a job, it is necessary to apply Candidate Relationship Management strategies to a much wider audience. You need to build and maintain long-term relationships with all of them in order to constitute a high-quality talent pool that you can use for your future hiring needs. Imagine if every time you had a job opening, you had a pool of talent from which you can just pick the best candidate. 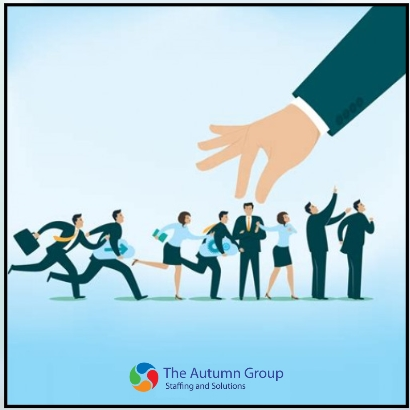 So how can you keep your talent pool interested and engaged? 1.) Forge a professional relationship and connect with your candidates on LinkedIn and your social media profiles. 2.) Create and execute engaging recruiting email campaigns. 3.) Organize and host talent networking events. In order to execute both IT Recruitment Marketing and Candidate Relationship Management strategies, you need to design and create specialized recruiting content. Delivering great recruiting content is crucial for attracting top talent and keeping your candidates engaged. What do I mean by “IT recruiting content”? Recruiting content is targeted, branded content created specifically for the purpose of increasing your Employer Brand recognition and candidate engagement. An effective recruiting content tells a compelling story about your company, its mission and values. It shows off your employees and your company culture, too. It also provides value for your potential candidates, offering useful information about your recruiting process and industry trends. Recruiting content comes in many different forms, such as blog posts, videos, social media posts, newsletters, eBooks, webinars, surveys, infographics, SlideShare etc. The most important thing to keep in mind when you are choosing the type of content is to start from your candidate persona. What type of content and which topics would your perfect candidate find interesting and engaging? By creating the type of content that targets your candidate persona, you will be able to attract candidates that make a perfect fit not only for your open positions but also for your company culture. Using an Applicant Tracking System (ATS) alone is not enough. Not in 2018! Applicant Tracking System (ATS) cannot help you with implementing and executing the first 3 trends we mentioned: Recruitment Marketing, Candidate Relationship Management and Content creation. That is because an Applicant Tracking System (ATS) is a tool created to manage the post-application stage of your recruiting process. Applicant Tracking System (ATS) is a great tool that can help you streamline, simplify and fasten your recruiting process, but only after you already received job applications. In order to tackle the most pressing modern recruiting challenges – finding and attracting potential candidates, you have to rely on a different recruiting technology. This recruiting technology is called Recruitment Marketing software. Recruitment marketing software offers solutions for driving talent to apply for your open positions. It is a special recruitment technology designed to simplify and fasten the pre-application stage of your recruiting process. Recruitment Marketing software offer solutions such as advanced web sourcing, easy creation of branded career site, social media recruiting, referral programs, candidate relationship management campaigns, talent networking etc. That being said, you can see how the Recruitment Marketing software Applicant Tracking System complement each other well, and deliver the best recruiting solutions when used together. Some software providers have realized that and further developed recruiting technology. They combined Applicant Tracking System and Recruitment Marketing software under one platform, offering all in one type of recruiting tool. The use of HR analytics is growing, and it will surely continue to grow and become more and more sophisticated in the years to come. The reason for that is simple – using HR analytics helps recruiters improving their productivity and success by making more informed and better decisions. This process is called data-driven recruiting. In traditional recruiting recruiters had to rely only on their gut feeling and instincts. In data-driven recruiting, recruiters analyze recruiting data in order to test their assumptions. Luckily, recruiters don’t have to possess advanced mathematical knowledge to perform complex statistical analysis. Not anymore. Now they have the variety of recruiting tools to assist them at their disposal. These modern recruiting tools automatically track and measure the most important hiring metrics and analyze every step of your recruiting process. Recruiters are then presented with beautiful reports containing graph and figures which are easily understandable. These reports provide valuable insights. Based on this insights, you can identify recruiting strategies that bring you the best results, but also uncover bottlenecks in your recruiting process. For example, by tracking the source of hire you can find out which recruiting channel delivers the best candidates. Based on that information, you can plan your future hiring and recruiting tactics to provide the highest ROI. There has been a lot of talk about Artificial Intelligence (AI) in the IT recruiting industry. It has been announced that Artificial Intelligence (AI) will (and has) revolutionize the whole IT recruiting process. Artificial Intelligence (AI) became one the hottest topics in recruiting. Many software providers have jumped in on this trend and presented new recruiting technology, which is allegedly using Artificial Intelligence (AI) and Machine Learning. In order to discern between the hype and the reality, we first need to understand the difference between Artificial Intelligence (AI) and Machine Learning. Although these two terms are often used interchangeably, they are not synonyms. Artificial Intelligence (AI) is the ability of machines to perform tasks in the way people would. It means that a computer can carry out tasks normally requiring human intelligence. Simply put, Artificial Intelligence (AI) is the human intelligence demonstrated by machines. Machine Learning is a way of achieving Artificial Intelligence (AI). It is the process by which machines learn to become intelligent. What is revolutionary here is the idea of “teaching” machines to learn for themselves. Instead of teaching them everything they need to know (for example, how to perform a certain recruiting task), we are programming them to learn that for themselves. New recruiting technology is already utilizing Machine Learning, so in the future, we expect to see the emergence of a “real” Artificial Intelligence (AI) in recruiting. The hype is real. Artificial Intelligence (AI) is here, and is currently helping recruiters in candidate sourcing, screening, and nurturing initiatives. IT recruiters should keep abreast of the Artificial Intelligence (AI) development. Artificial Intelligence (AI) has enormous possibilities and potential, and we will surely continue to hear a lot about it in the years to come. The TAG recruiters are very knowledgeable with all aspects of Information Technology. Reach out to a TAG IT recruiter today!